Swimming pools provide so much fun and enjoyment for the whole family, especially when the weather gets warm. 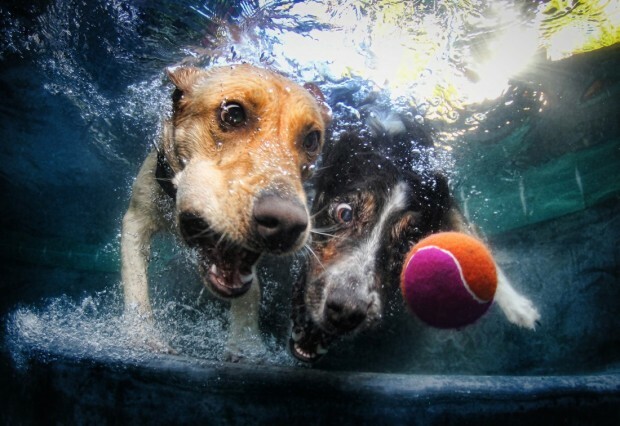 As much as people love playing in pools, family pooches often love it even more. 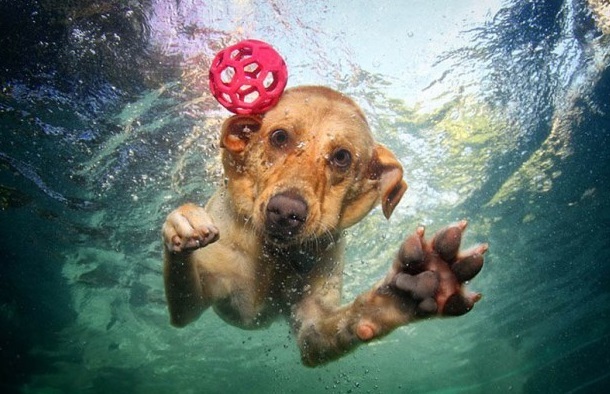 Sometimes, you just can’t get your furry friends to get out or stay out of the water wonderland. 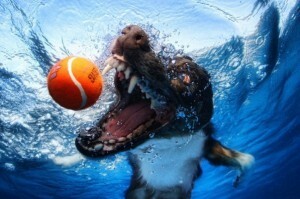 Award winning photographer, Seth Casteel learned this while on a photo shoot for a playful pup. 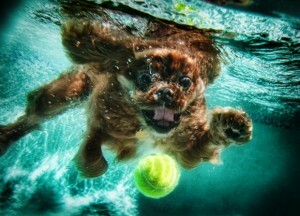 Seth was setting up to take some land pics of a spunky spaniel named Buster, when Buster decided he wanted to play in the nearby pool, not chase after toys in the yard. 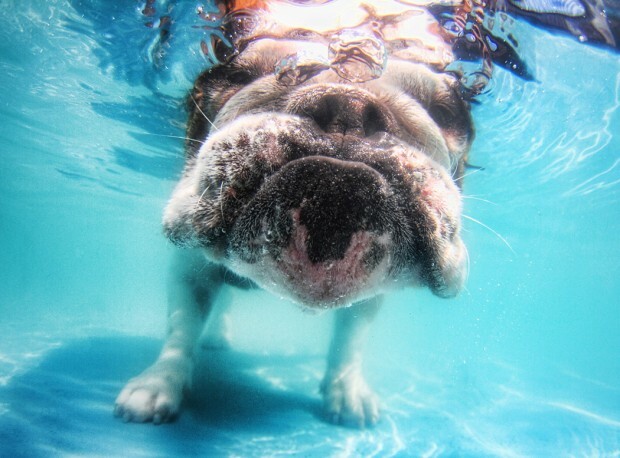 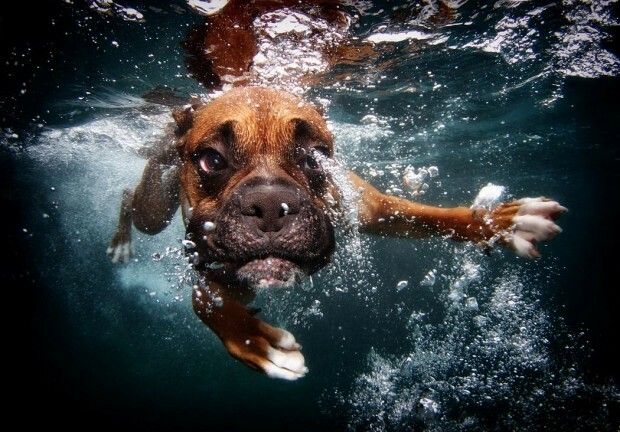 After watching Buster repeatedly jump in, Seth decided to just go with the flow and jumped in himself with an waterproof camera to begin taking underwater pictures of Buster. 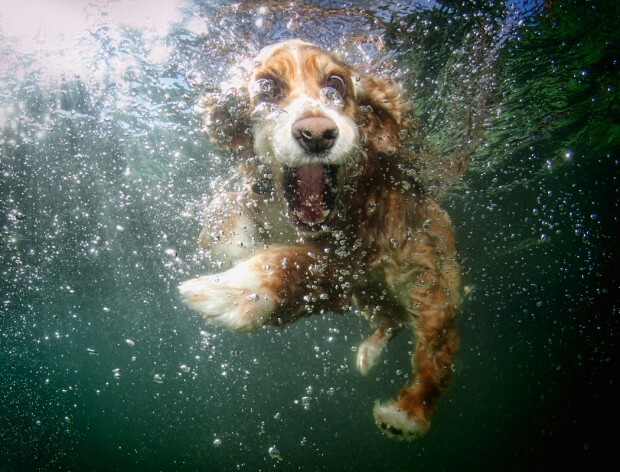 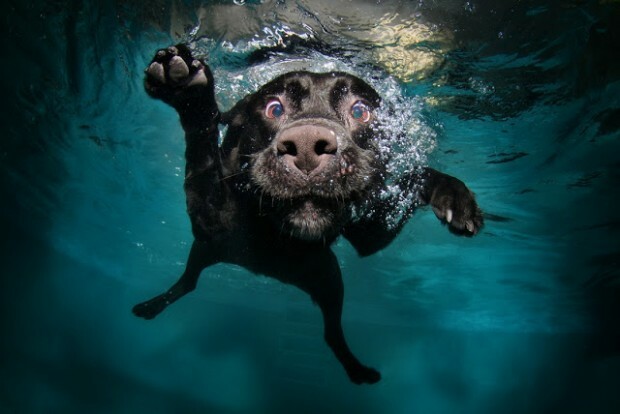 Using this photo opportunity as inspiration, Seth continued taking pictures of over 1500 dogs in the water and published the incredibly popular book, “Underwater Dogs”, in 2010. 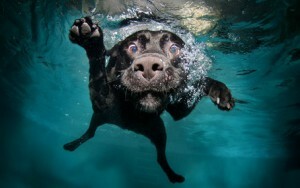 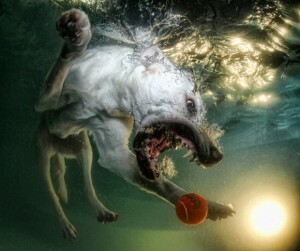 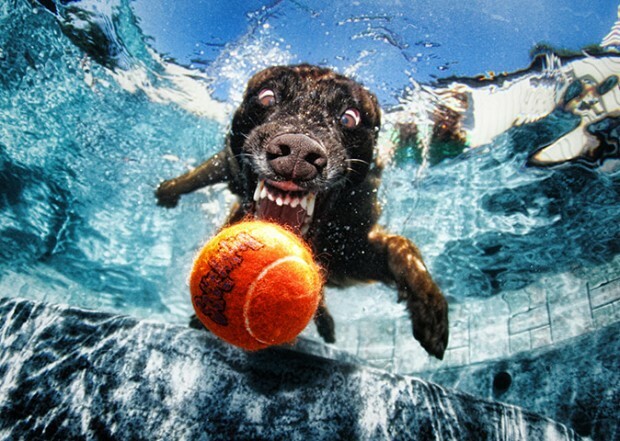 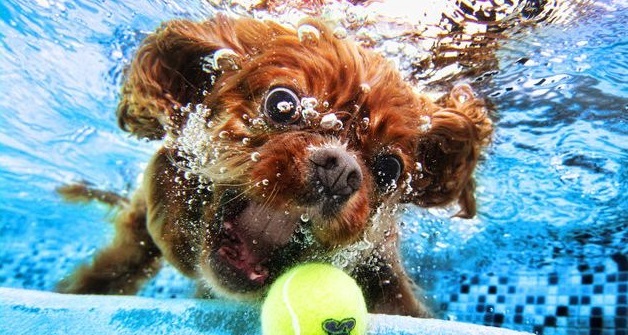 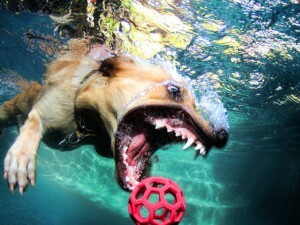 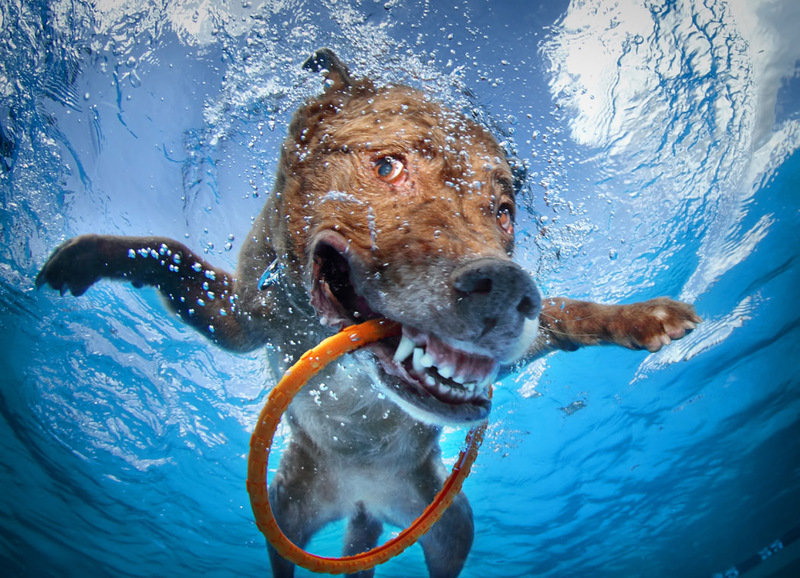 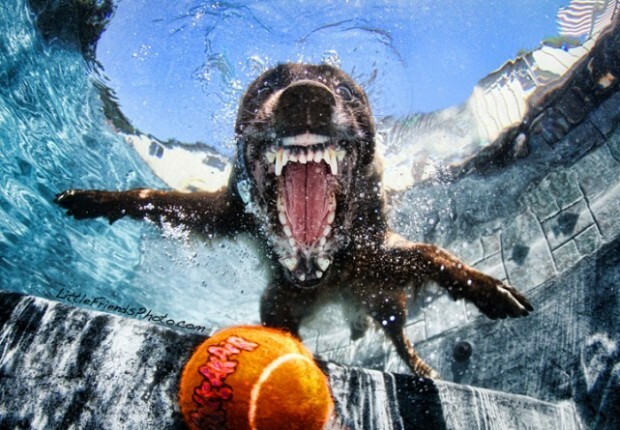 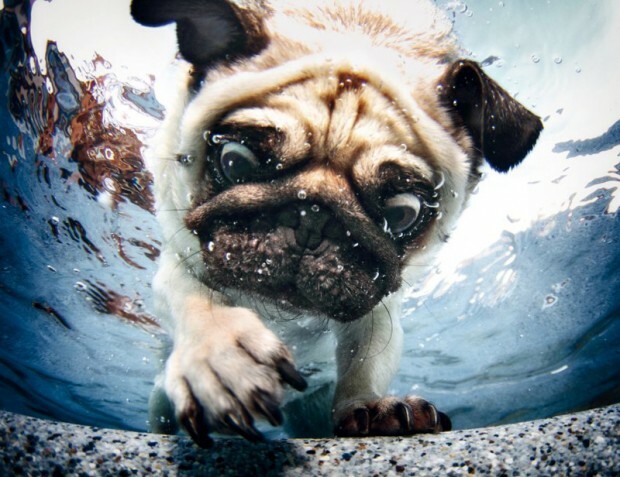 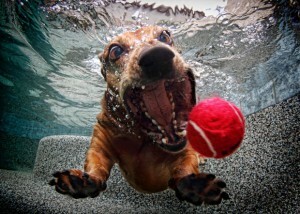 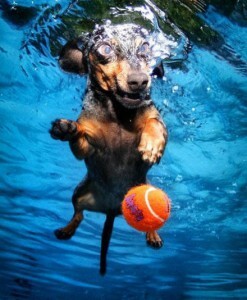 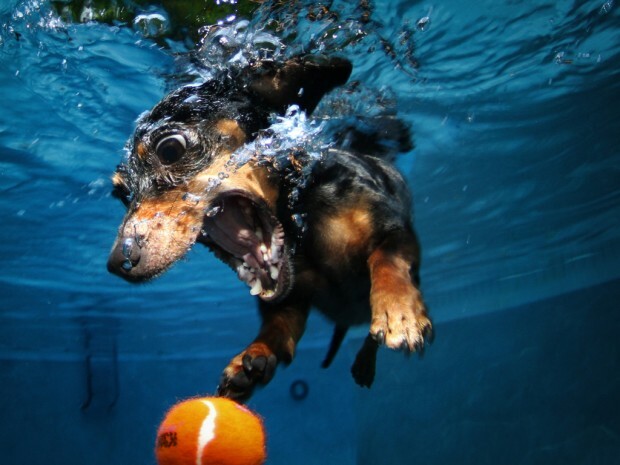 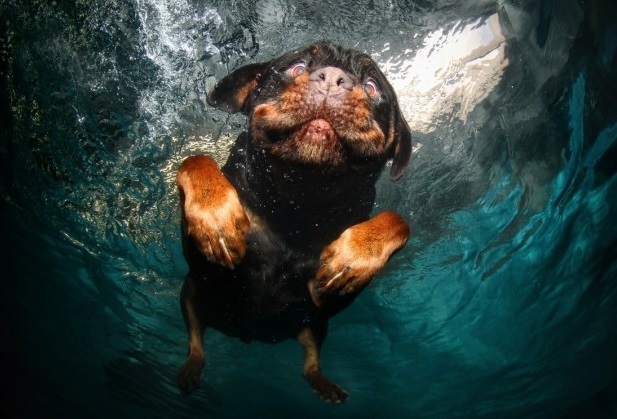 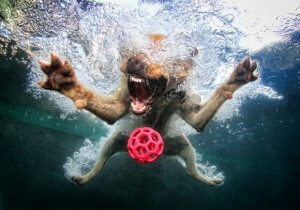 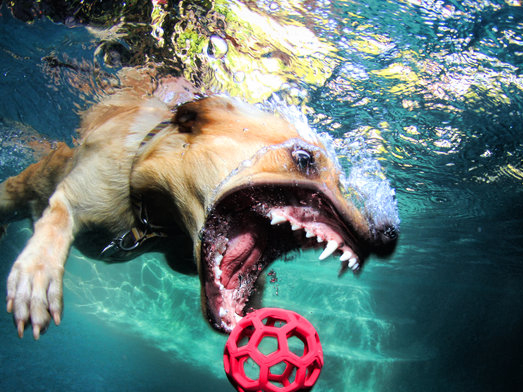 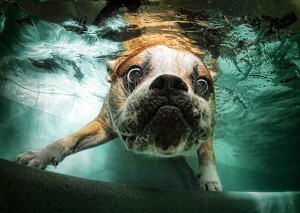 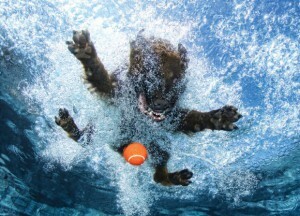 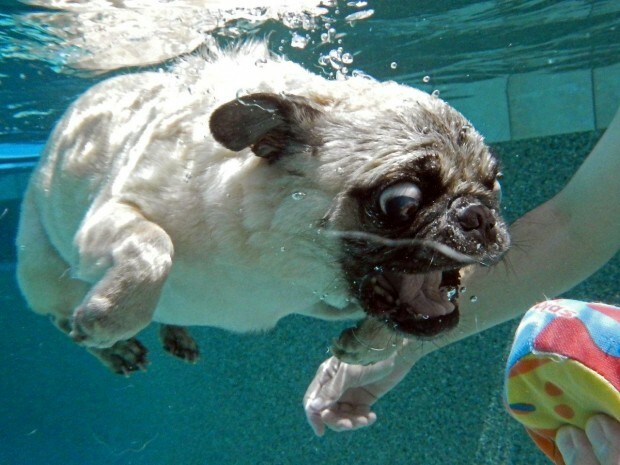 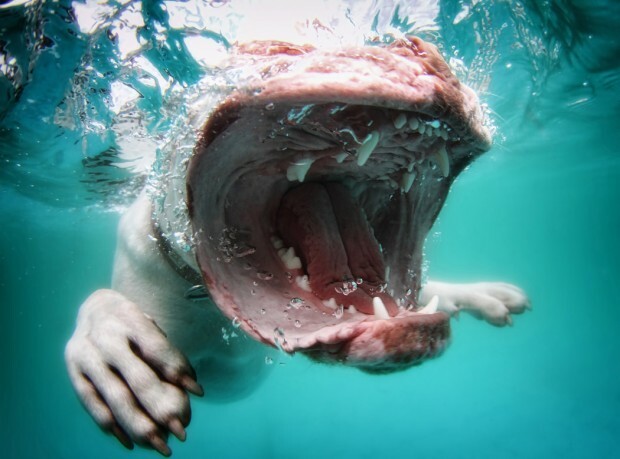 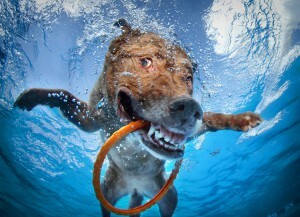 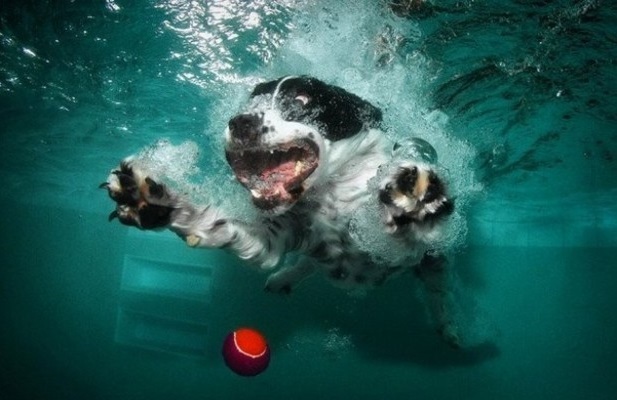 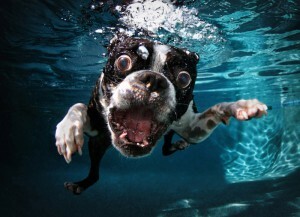 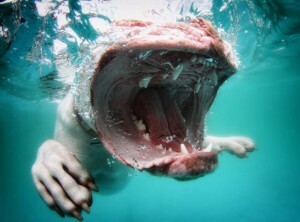 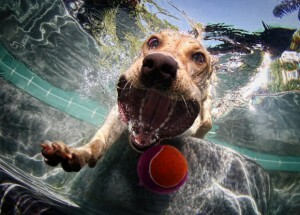 “Underwater Dogs” garnered international attention in a media frenzy and immediate fame for Seth. 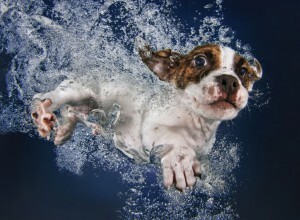 After pondering potential subjects for his next project, Seth decided to continue with the same theme and published even more spectacular water photos in a new book, but this time, with puppies. 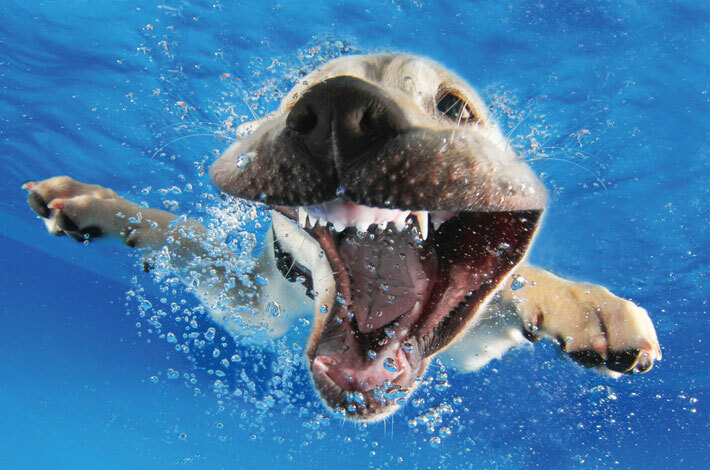 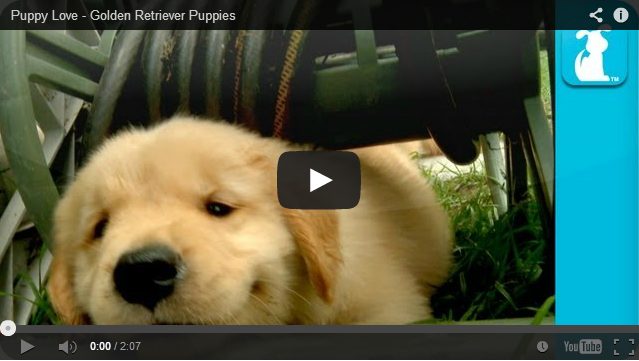 “Underwater Puppies” was released in 2014. 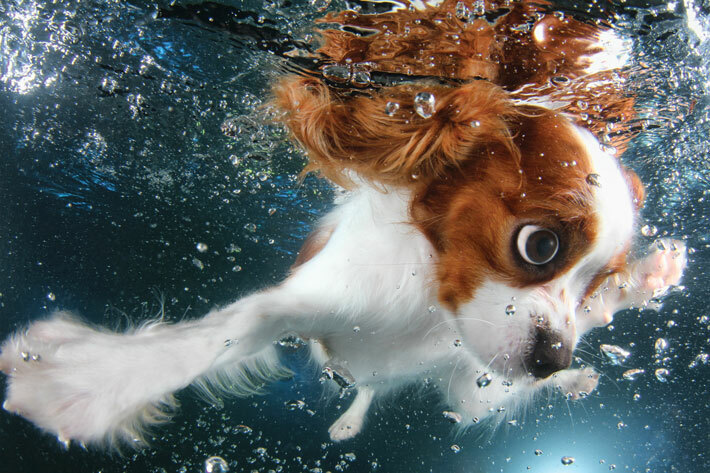 In addition to the fact that puppies are one of the most adorable creatures on Earth, Seth wanted his project to bring awareness to pet water safety. Thousands of family pets drown each year because their human parents haven’t taken the necessary steps to puppy proof their pool by either restricting their access or by teaching them how to navigate in and out of the pool. 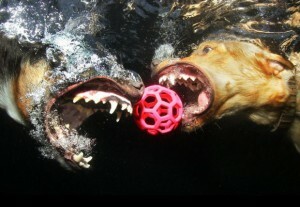 Casteel perfectly captures the spirit of the playful pups as they break through the surface of the water and go chasing after their toys. Be prepared to be amused and amazed at Casteel’s impressive photos. 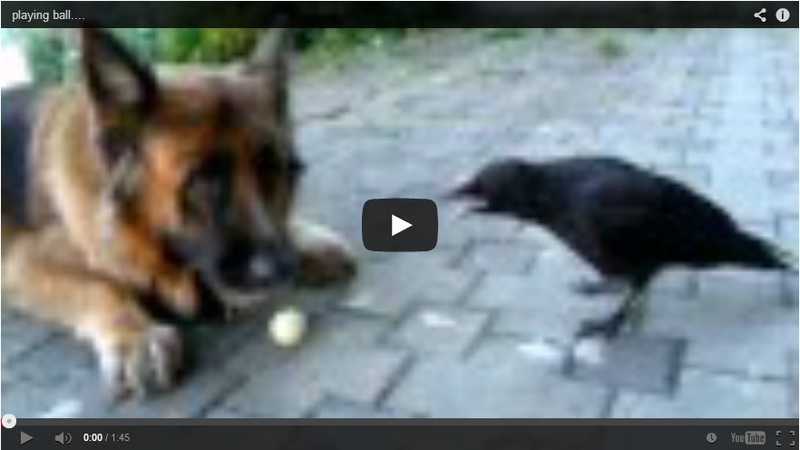 They show a very unique side of man’s best canine friend. Still not satisfied that he has fully explored underwater photography, Seth is still taking underwater pictures, most recently with babies, “Underwater Babies” became available for sale April 2015. 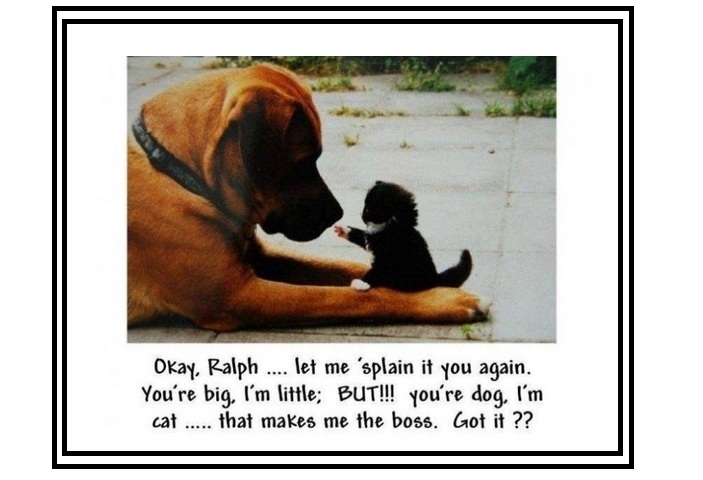 These are the Cutest Mini-Me Photos of Animals You’ll See Today Puppies All Dressed Up Sleeping With a Friend Golden Retriever Puppies Squirrel Attempts To Hide Nut In Bernese Mountain Dog’s Fur Orphan Deer Raised and Nursed By a Chocolate Lab Cuteness Under a Hat Some Cute Pictures to Brighten Your Day Cute Pictures Pup and Raven Playing With Ping Pong Ball Bubbles and Bella Our Fan’s Pets Awesome People and Amazing Animals Tiger Cub and Dog Playing Pets From our Fans Camouflage at its best! 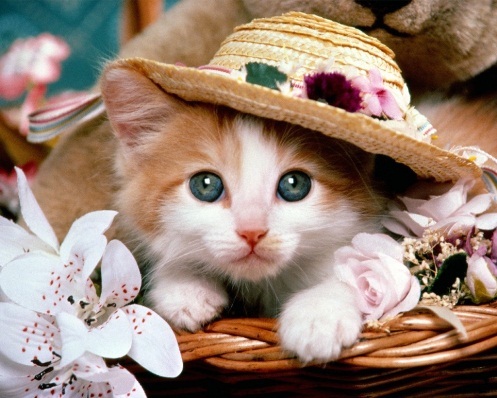 The Cutest Pet Pregnancy Announcements Are Here! 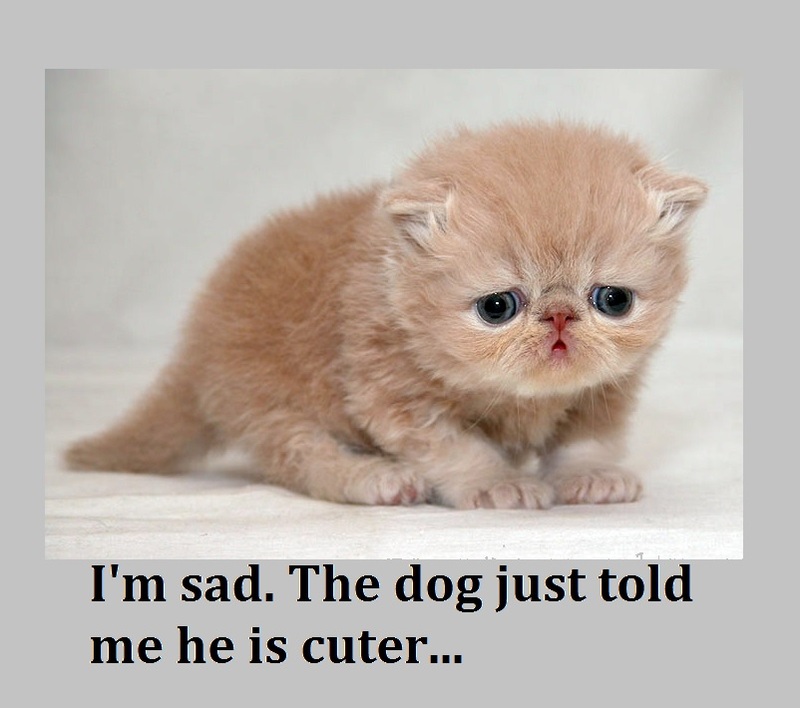 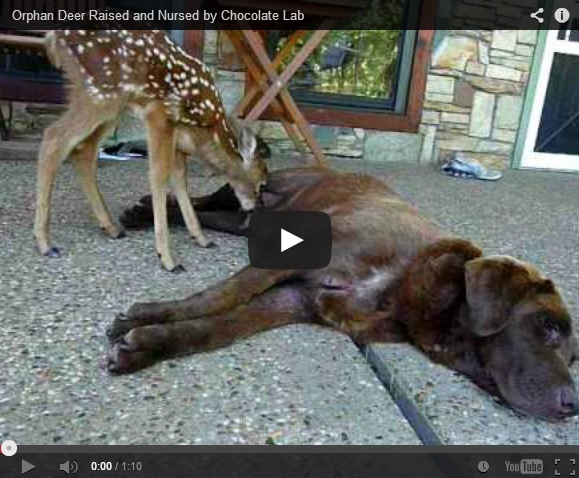 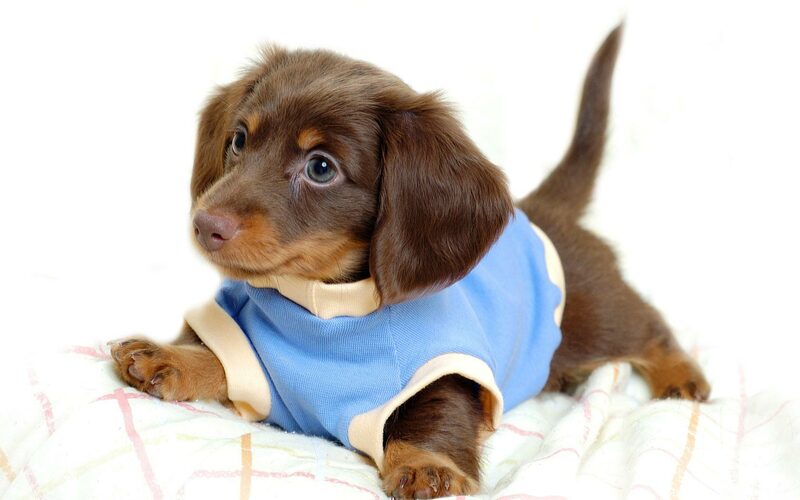 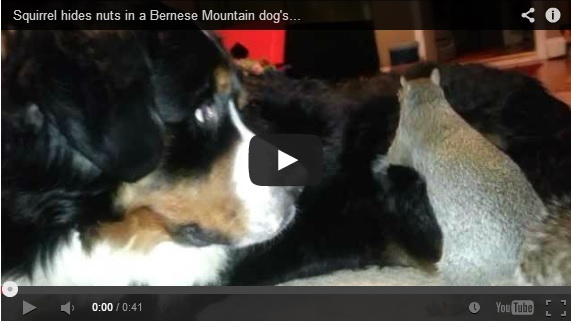 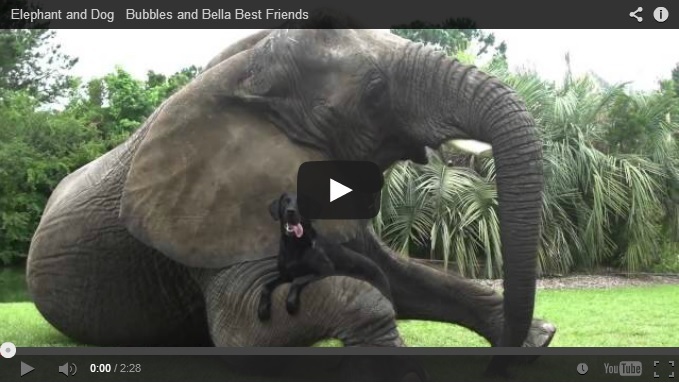 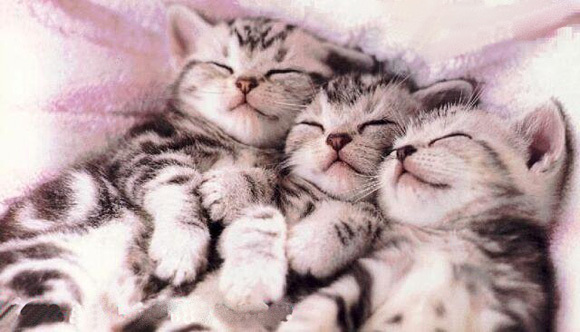 How Can These Helpless Pets Look So Cute? 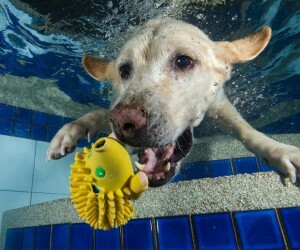 These Pets Love Self-Care Routines Too!